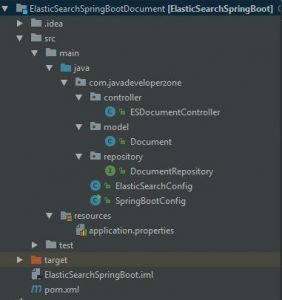 Here we have discussed step by step process and complete example with output to understand spring boot with the elastic search. If you haven’t download Elastic search refer this link to download the latest version of Elastic Search and perform below steps to start the elastic search with default configuration. ES_HOME indicate where our elastic is available. No need to set ES_HOME as the environment, for our references we are using ES_HOME as base directory of ES. In this example, we have used Elastic Search 6.2.4 with Spring boot 2.0.2. 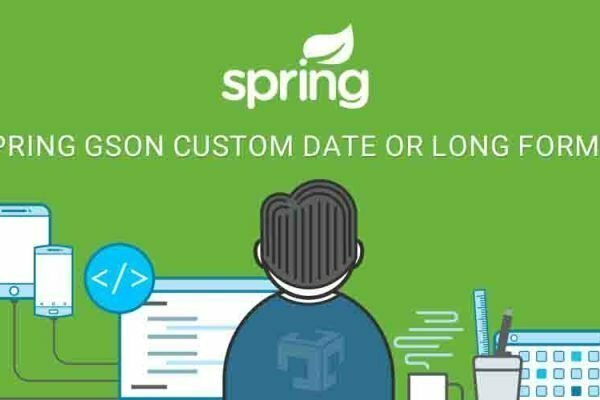 It is mandatory to use Spring boot 2.0.2 with this elastic search version. Elastic Search related configuration like elastic search host, port, cluster name etc. A pojo class with Document annotation with indexName and type mapping. @id annotation indicates the field is a unique key field. Our Document Repository which extends ElasticSearchRepository class and provides a various method of finding required information from elastic search. "docTitle": "Spring boot + Elastic Search"
In this article, we have discussed how to integrate elastic search with spring boot. We have also discussed various usage like save documents, delete documents, retrieve documents from elastic search. You can also download the source code of Elastic Search Spring Boot Integration Example and other useful examples from our git repository. ¿how to use with xpack? We are working on more example of the elastic search. We will also publish xpack example as soon as possible. Can you attach correct source code? Current contains solr project. Thank you for report us. The code has been updated.